If you missed #30 click here. Best Moment: Just the combination of RPG and Survival Horror genres. The monsters are pretty messed up too! 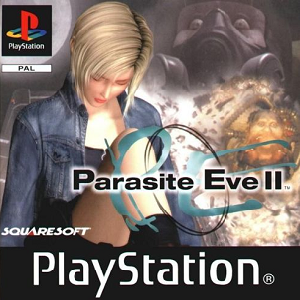 Parasite Eve II was a gem of a game. At the time of release, it was given good reviews, in fact both the first two PE games were. I only did play the second one though. They released a third one a few years ago but that had mixed reviews. The games have largely been forgotten, which is a damn shame. Squaresoft (now Square Enix) did a great job of creating a pretty damn messed up Survival Horror game with RPG elements, and, at the time, the concept was unprecedented. 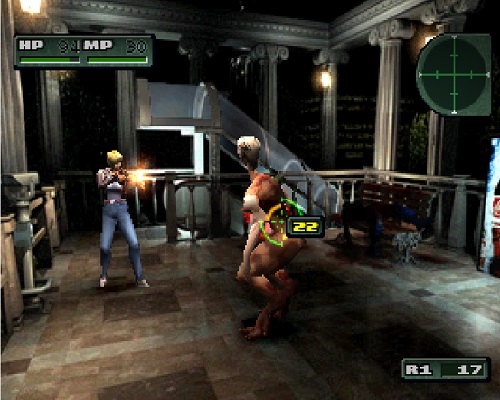 Clearly Squaresoft, the King of RPGs in the nineties, wanted to get in on the Survival Horror genre that was starting to really establish itself with Resident Evil and Silent Hill games coming out at the time, and their RPG spin on the genre was really good. It's such a shame that they don't get the attention they deserve. If you're ever wanting to play an alternative horror game of this era, give this a go, you won't regret it. So, what came in at #28? Find out by clicking here!